Sam Dyson is Director of the Hive Chicago Learning Network, a MacArthur-supported initiative operated by the Mozilla Foundation to enact connected learning among teens and educators through a community of youth-serving organizations. His work explores the power of networks to solve complex challenges inherent in the work of teaching and learning. Sam has led development of connected learning programs and resources for teens and adults including Hive Fashion in Chicago and New York City Networks; STEAM Studio, a pop-up makerspace at the Chicago Cultural Center; and Maker Party and showcase events supporting the Chicago City of Learning. 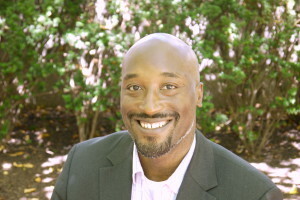 His prior positions include educational administration in both community-based and Chicago Public School contexts and 10 years of physics teaching experience. He is a 2007 recipient of the Golden Apple award for excellence in teaching and has a B.A. in Physics from Yale University and an M.Ed. from the Harvard Graduate School of Education.